On July 17, 2016, Rio de Janeiro hosted 30 teams totaling 123 people from Brazil, Mexico, the USA, Argentina and Bolivia who were training for a rigorous 23-day event with the potential to result in gold – streets of gold – for thousands of children. The event was Child Evangelism Fellowship (CEF) of Brazil’s “Passion for the Children” organized in advance of the kickoff for the 2016 Summer Olympics. 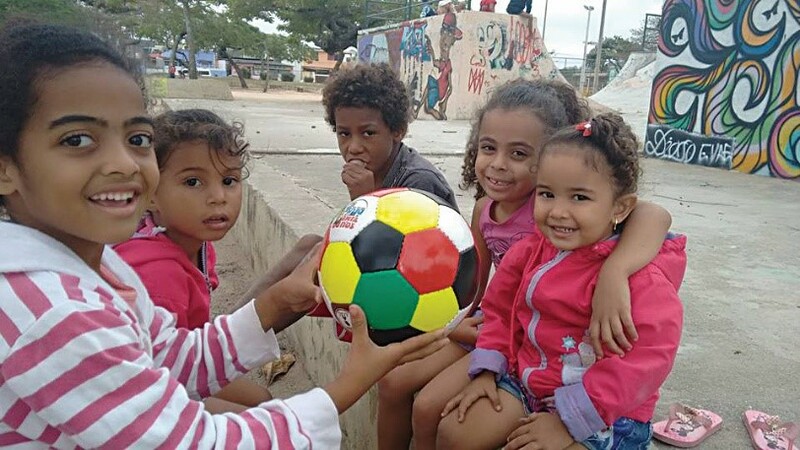 Earlier in the summer, on the heels of its home country hosting the World Cup soccer tournament, CEF of Brazil distributed 590 Wordless Book-colored soccer balls. Then, in celebrating 75 years of ministry, the organization shifted gears to their main event, “Passion for the Children.” Reaching 39,183 children in less than a month, 54 churches received teams and trained 1,265 parents and teachers who held 69 Bible clubs in 126 schools and 35 day care centers. In total 14,890 children accepted Christ. Everyone agreed that saving children’s souls for eternity far outweighs the temporary joy of earning a gold medal. The revelry of hosting two of the world’s most prestigious sporting events did not mask the fact the Satan has a strong hold on certain parts of Brazil. God protected one of the CEF teams as they walked back to their host home in the midst of open gun fire. They had just shared Hebrews 13:5 with a boy reminding him that God will never leave him and to always call on the name of God in times of trouble. What comforting words echoed in their ears! “Passion for the Children” cannot be measured by human standards such as medal counts; however, we know God is victorious and receives all the glory as He continuously welcomes these little ones into His Kingdom.